What is Sezary Syndrome ? 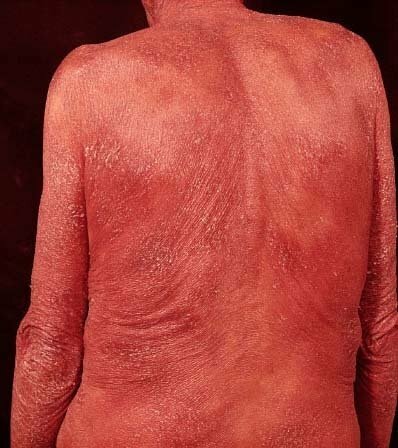 Sezary Syndrome, or Sezary disease, is defined as a more aggressive variant of a form of cancer known as cutaneous T-cell lymphoma (CTCL) that belongs to a broad group of diseases known as non-hodgkin’s lymphomas. Other than humans, the disorder has also been reported in cats and dogs. It was described initially by the French syphilologist and dermatologist Albert Sézary. 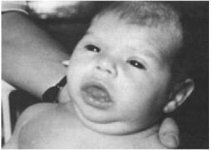 This disease is occasionally believed to be a later stage of the condition mycosis fungoides  accompanied by lymphadenopathy. A very rare skin disorder, it occurs in only 3 out of 1000000 people. It is more frequently seen in males, and the ratio between affected men and women is 2:1. The average age during the time of diagnosis is around 55 to 60 years. The underlying factors are not currently known . A peripheral CD4+ T-lymphocyte is suspected as the cause. In some rare cases, however, an involvement of CD8+/CD4- has also been observed. Most sufferers have one or more chromosomal anomalies, such as the gain or loss of a genetic material, which usually occur during the lifetime. These can be spotted only in the genetic material or DNA of the cancerous cells. Patients tend to have lost DNA material from the regions of chromosomes 17 and 10 or additions of DNA material to the regions of the chromosomes 17 and 8. The inheritance pattern has not been fully determined yet. It can occur in people having no family history, and is hence not believed to be hereditary in most cases. 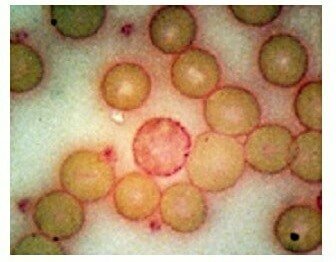 Symptoms like mycosis fungoides, are mainly evident on the skin. The distinctive characteristics include lesions (Pautrier’s microabscesses) and Epidermotropism by neoplastic CD4+ lymphocytes. Development of Sezary cells (cancerous T-cells) on skin, blood and lymph nodes are also noticed. The main aim of therapy is to destroy the malignant lymphocytes as well as correct the immune imbalances that occur due to the malignant Th2 lymphocytes. Vorinostat (Zolinza), classified as a second-line medication for cutaneous T-cell lymphomas. Combination of phototherapy and chemotherapy. Bone marrow transplantation and systemic chemotherapy. No single mode of therapy stands apart with clear-cut benefits when compared to other treatment modalities and management of all cases of SS are challenging. The prognosis depends on the stage the cancer is in as well as the type of lesions that are evident, such as plaques, patches, or tumors. It is difficult to cure this syndrome. Treatment is mostly palliative, aiming at relieving the symptoms and improving the overall quality of life. The estimated 5-year survival rate for this disease is around 20-27%. The following images demonstrate the nature of the lesions observed in Sezary’s syndrome. The ICD 9 code for this disease is 202.2 .